Sai Baba of Shirdi Sai Baba, an Indian religious figure who lived from the mid-19th Century to 1918. He was considered a Guru and holy man to both Hindus and Muslims. His early life has few reliable sources. It is suggested he was brought up in the village of Pathri, by a fakir and his wife. A disciple of Sai Baba of Shirdi, Das Ganu, said he was later looked after by Venkusha. When Sai Baba was sixteen years old he first arrived in the village of Shirdi in Maharashtra. He lived a very ascetic life, spending many hours in prayer and meditation. 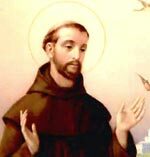 Some called him a saint; others were less impressed by this ascetic. He stayed in a Khabdoba temple, and later a dilapidated mosque. Without any preaching or attempt to attract followers, people were drawn to his presence, and he began to attract followers from both the Hindu and Muslim faith. As well as teaching spirituality and tolerance of religions, he was also known for his ability to create miracles, such as materialising objects out of thin air. As his life progressed, increasingly big crowds were attracted to wherever he went. Sai lived in Shirdi all his life and was buried in the Buty Wada, also known as Samadhi Mandir. 11. There shall be no want in the house of my devotee. An important aspect of Sai Baba’s teachings was the distribution of sacred udhi (ash) to his followers. This has symbolic meaning and some disciples claimed miracles from this sacred ash. He also asked visitors for money, which he would distribute to others later in the day. This was to improve the karma of his disciples. 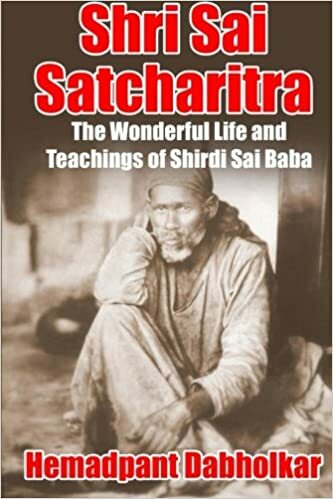 The Shri Sai Satcharita, by Govindrao Raghunath Dabholkar, gives a devotional account of Sai Baba’s life. Sai Baba is among the most popular of Indian saints and has a large following throughout India, his image is one of most popular religions icons of India. His samadhi is a well-known place of pilgrimage. At least three gurus have claimed to be the reincarnation of Shirdi Sai Baba. The most famous is Sathya Sai Baba. Citation: Pettinger, Tejvan. 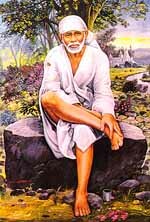 “Biography of Sai Baba of Shirdi“, Oxford, UK – www.biographyonline.net. Last updated 19th May 2013.